I am motivated by compelling applications, and some of the areas that I study are personalization, social media, social networks, journalism, and e-commerce. If you are a prospective student interested to work with me, you need to apply to the CS Ph.D. program. If you are already admitted to the program, send me an email with your interests and CV. You may also want to read this article on how to be a successful Ph.D. student. March 2019: Usman Shahid and I are presenting our paper on "Counterfactual learning in networks: an empirical study of model dependence"
November 2016: Presenting in the NIH BD2K Webinar Series on "Databases & Data Warehouses, Data: Structures, Types, Integrations"
U. Shahid, E. Zheleva. Counterfactual Learning in Networks: An Empirical Study of Model Dependence. AAAI Spring Symposium on Beyond Curve Fitting: Causation, Counterfactuals, and Imagination-based AI (AAAI-WHY) 2019. PDF. C. Tran, E. Zheleva. Learning Triggers for Heterogeneous Treatment Effects. AAAI Conference on Artificial Intelligence (AAAI) 2019. PDF. T. Sun, S. Viswanathan, E. Zheleva. Creating Social Contagion through Firm-mediated Message Design: Evidence from A Randomized Field Experiment. Management Science Journal. 2019 (forthcoming). C. Baru, S. Bird, A. Blatecky, D. Culler, R. Grossman, B. Howe, V. Janeja, M. Lee, R. Machiraju, E. Zheleva. Translational Data Science: From Foundations to Impact. Harvard Data Science Review. Position paper. 2019 (forthcoming). T. Sun, L. Shi, S. Viswanathan, E. Zheleva. Motivating Effective Mobile App Adoptions: Evidence From A Large-Scale Randomized Field Experiment. Information Systems Research Journal (ISR). 2019 (forthcoming). J. Pfeiffer, E. Zheleva. Incentivized Social Sharing: Characteristics and Optimization. 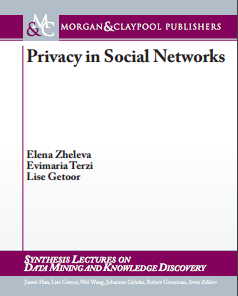 Lecture Notes in Social Networks book series (LNSN). Springer. December 2018. Noah Hirsch, Chris Kanich, Mohammad Taha Khan, Xuefeng Liu, Mainack Mondal, Michael Tang, Christopher Tran, Blase Ur, William Wang, Günce Su Yilmaz, Elena Zheleva. Making Retrospective Data Management Usable. Poster. 14th Symposium On Usable Privacy and Security (SOUPS). Baltimore, MD, August 2018. J. Pfeiffer, E. Zheleva. Optimizing the Effectiveness of Incentivized Social Sharing. 9th IEEE/ACM International Conference on Advances in Social Network Analysis and Mining (ASONAM) 2017. PDF. I. Kotsogiannis, E. Zheleva, A. Machanavajjhala. Directed Edge Recommender System. 10th ACM International Conference on Web Search and Data Mining (WSDM) 2017. PDF. T. Sun, L. Shi, S. Viswanathan, E. Zheleva. Motivating Mobile App Adoption: Evidence From A Large-Scale Field Experiment. Conference on Information Systems and Technology (CIST) 2016. PDF. T. Sun, S. Viswanathan, E. Zheleva. Creating Social Contagion through Message Design: A Randomized Field Experiment. International Conference on Information Systems (ICIS) 2014. INFORMS 2014 Service Science Best Student Paper, Third Place. T. Sun, S. Viswanathan, E. Zheleva. Antecedences and Consequences of Multichannel Sharing Behaviors. INFORMS 2014. T. Sun, S. Viswanathan, E. Zheleva. Impact of Message Design on Online Interactions: An Empirical Investigation. International Conference on Electronic Commerce (ICEC) 2014. J. Pfeiffer III, E. Zheleva. Incentivized Sharing in Social Networks. VLDB workshop on Online Social Systems (WOSS) 2012. PDF. E. Zheleva, E. Terzi, L. Getoor. Privacy in Social Networks. Synthesis Lectures on Data Mining Series. Book published by Morgan and Claypool Publishers. 2012. Abstract. PDF. 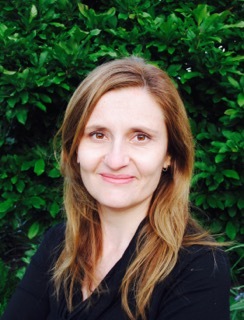 E. Zheleva. Prediction, Evolution and Privacy in Social and Affiliation Networks. PhD Dissertation. July, 2011. Abstract, PDF. E. Zheleva, L. Getoor. Privacy in Social Networks: a Survey. Invited book chapter in Social Network Data Analytics. Ed. by Charu Aggarwal. Springer. March 2011. Abstract, PDF. E. Zheleva, L. Getoor, S. Sarawagi. Higher-order Graphical Models for Classification in Social and Affiliation Networks. NeurIPS Workshop on Networks Across Disciplines: Theory and Applications 2010. Abstract, PDF. E. Zheleva, J. Guiver, E. Mendes Rodrigues, N. Milic-Frayling. Statistical Models of Music-listening Sessions in Social Media. 19th International World Wide Web Conference (WWW) 2010 (12% acceptance rate). Abstract, PDF. Conference talk on VideoLectures. E. Zheleva, H. Sharara, L. Getoor. Co-evolution of Social and Affiliation Networks. 15th ACM SIGKDD International Conference on Knowledge Discovery and Data Mining (KDD) 2009 (10% acceptance rate). Abstract, PDF. Also presented at INFORMS 2009. E. Zheleva, L. Getoor. To Join or not to Join: The Illusion of Privacy in Social Networks with Mixed Public and Private User Profiles. 18th International World Wide Web Conference (WWW) 2009 (12% acceptance rate). Abstract, PDF. Slides. E. Zheleva, A. Kolcz, L. Getoor. Trusting Spam Reporters: A Reporter-based Reputation System for Email Filtering. ACM Transactions on Information Systems (TOIS), vol. 27, no. 1, December 2008. Abstract, PDF. Patent. E. Zheleva, L. Getoor, J. Golbeck, U. Kuter. Using Friendship Ties and Family Circles for Link Prediction. KDD Workshop on Social Network Mining and Analysis 2008. PDF. E. Zheleva, L. Getoor. Preserving the Privacy of Sensitive Relationships in Graph Data. KDD Workshop on Privacy, Security, and Trust in KDD (PinKDD) 2007. LNCS vol. 4890, p. 153-171, 2008. PDF. A. Don, E. Zheleva, M. Gregory, S. Tarkan, L. Auvil, T. Clement, B. Shneiderman, C. Plaisant. Discovering Interesting Usage Patterns in Text Collections: Integrating Text Mining with Visualization. 16th ACM International Conference on Information and Knowledge Management (CIKM) 2007. Abstract, PDF. Application. E. Zheleva, A. Arslan. Fast Motif Search in Protein Sequence Databases. Computer Science Symposium 2006. V. Kantabutra, B. Tsendjav, E. Zheleva. Glide Algorithm with Tunneling: A Fast, Reliably Convergent Algorithm for Neural Network Training. Conference on Artificial Neural Networks in Engineering (ANNIE) 2003. V. Kantabutra, E. Zheleva. Gradient Descent with Fast Gliding over Flat Regions: A First Report. IEEE Industrial Electronics Conference (IECON) 2002. August 2017 - Sharing and Gifting: Lessons from E-commerce. Keynote at the Mining and Learning with Graphs Workshop at KDD 2017. April 2017 - Data Science in Social Spaces: Personalization vs. Privacy. DIMACS Workshop on Privacy and Security in Big Data. November 2016 - Databases & Data Warehouses, Data: Structures, Types, Integrations. BD2K Seminar Series. I am an assistant professor in Computer Science at the University of Illinois at Chicago. Prior to joining UIC, I spent a few years in industry as a data scientist, working on large-scale recommender systems, personalization, incentivized sharing, and data science tools for journalists. I built and led the data science team at LivingSocial, and later was a principal data scientist at Vox Media. I also spent a year in government as an AAAS Science & Technology Policy Fellow at the National Science Foundation, contributing to national initiatives at the intersection of data science and public policy. Many of the research problems I am interested to solve are informed by my industry and public policy experience. I received my Ph.D. in Computer Science in 2011 from the University of Maryland, College Park where my advisor was Lise Getoor.